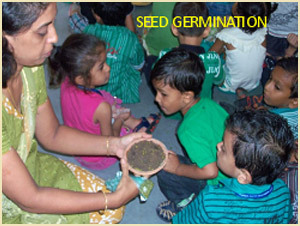 The curriculum of our pre school has been evolved on the principles of early childhood care and education. 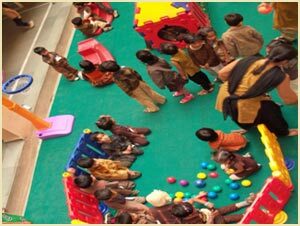 It aims at overall development of a child and evolving gross motor, fine motor, cognitive, language and socio-emotional development. 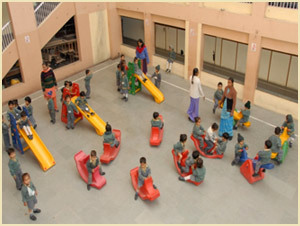 Gross Motor Development: In Order To Develop Physical And Mental Being Of A Child. 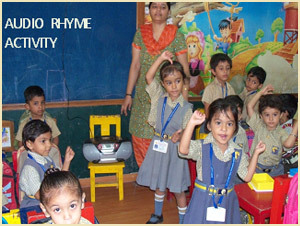 Fine Motor Development: To Develop Hand And Eye Co-Ordination. 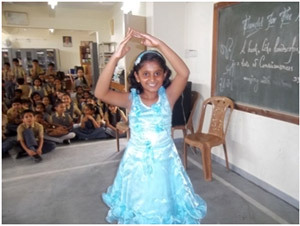 Socio-Emotional Development: To Develop Empathy Among Children. 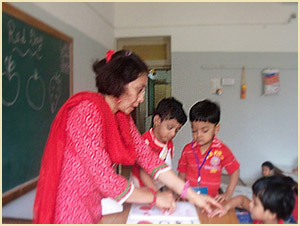 Language Development : To Develop Their Communicative Skills. 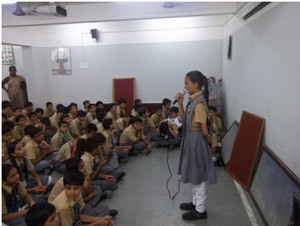 We started the year with a talent hunt. 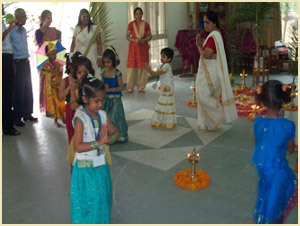 To bring out the latent talent in the children a talent Search was organized for students of Std. V, VI and VII .Student showed their skills in singing, drawing, mono acting, skit, balancing acts &in playing musical instruments. 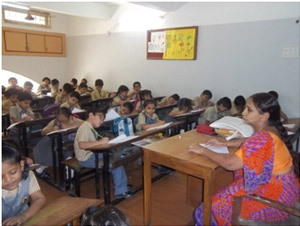 To test the observation and recalling power of the students a memory test was held for students of Std. II and III in the month of June. 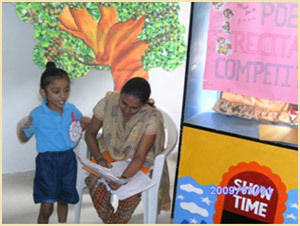 To give a boost to the literary skills of children various competitions were held. For students of Std. I, II and III. 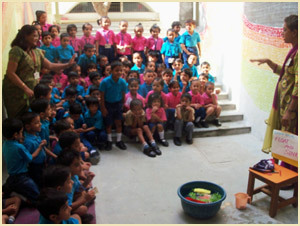 Pick and speak, where students were asked to speak on various objects shown to them. For Std. 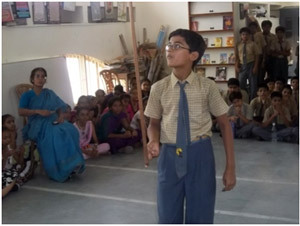 IV story telling competition was held. For students of Std. 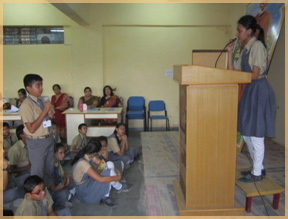 V, VI, VII Elocution competition was held in the month of July. It was great to see some of the Speakers speak with great confidence. 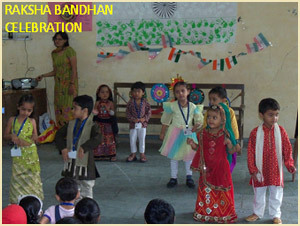 Making Rakhis, children were made aware of the tradition of making rakhi by organizing a Rakhi – Making competition for students of Std-IV and V in the month of July. Some of the Rakhis were comparable to the market ones. 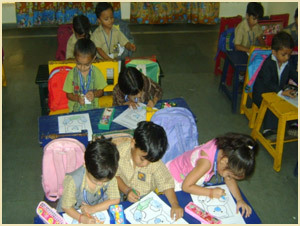 Like every year Navneet India Ltd.is organizing an All India Navneet drawing competition 2012. 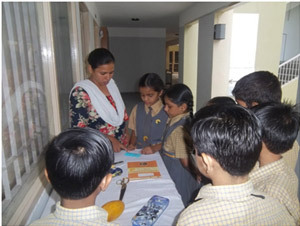 The school level competition was held for Std. I to VII on 31-7-12. The selected drawings will be sent for the state level competition. 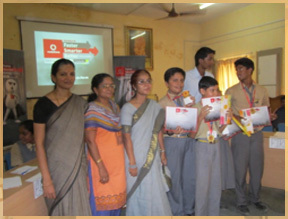 The general awareness of the students in various disciplines and mental ability were put to test in the Quiz Competition organized by Vodafone for students of Std. VI to IX on 25th Aug 2012. 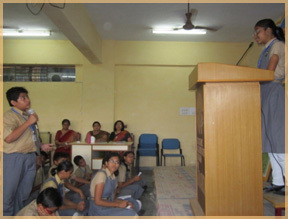 Derek O’Brien’s Team conducted a quiz titled ‘Derek’s Faster Smarter Better Challenge’ in the school premises on 25th July 2012 at 8:30a.m. 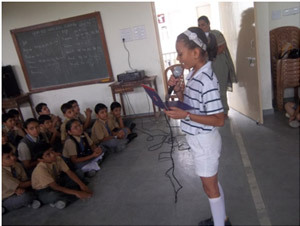 The Quiz was for students of standard 6 to 10. There were in all 16 students spread over 4 teams. Each team consisted of a student of class 6, 7, 8, 9/10 respectively. The whole event was well conducted and organized with all the 4 teams answering enthusiastically and logically. There were 5 rounds of questions related to G.K., Current Affairs, Logical and Analytical thinking, life skills and memory skills. The audience too participated by answering many questions. 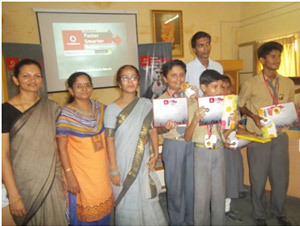 The students enjoyed and learnt many things from this event. surfaced as the winners after the long tie breaker round with Team EARTH. 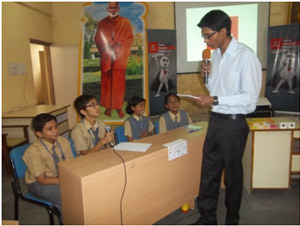 TEAM FIRE participants will participate in the Inter School Quiz Competition.